Seattle may be one rainy city, but the bright spot continues to be its restaurant landscape. The top five on the Top 25 Restaurants offer just a glimpse into the city’s vast culinary adventure. At No. 1, up from No. 2 last month, Cascina Spinasse, led by Chef Stuart Lane, puts its own take on the traditional regional cuisine of Northern Italty -- specifically the Piedmont region – using products from the Pacific Northwest. 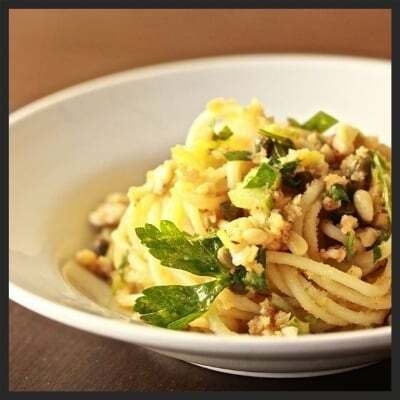 Spinasse is well-known for its pasta, which is all housemade by hand, including such dishes as tajarin al ragu o burro e salvia (fine hand cut egg pasta with ragu or butter and sage); cavatelli with beef short rib; and, of course, ravioli. At No. 2, down from No. 1 last month, Joule is a newcomer to the Top 25. The husband and wife team of Rachel Yang and Seif Chirchi have brought attention to Korean cuisine with their unique and modern interpretation, which feature unconventional cuts of beef paired with shareable small plates. Coming in at No. 3 for its very first time on the list, Bateau, a contemporary steakhouse, boasts its own farm where it raises heritage cattle, including Charolais, Maine-Anjou, and Limousin, as well as poultry and lamb. They also grow their own vegetables, herbs, nuts, fruit, and flowers. At No. 4, down from No. 3 last month, Single Shot Kitchen & Saloon is recognized for its brunch menu, featuring everything from traditional breakfast favorites like eggs benedict to pizza with corn, bacon, and baby squash. At No. 5, Chavez is brand new to the list, bringing home cooked authentic Mexican like tacos (lamb, mahi mahi, shrimp, beef short rib, and cactus) and more (diabla she devil roasted jalenpeno salsa) to Seattle. This month, the Top 25 Restaurant List returns to Seattle, showcasing consumers' top picks of the best restaurants the city has to offer. The list features Joule as its top ranker, jumping up from its previous position of No. 4 to No. 1. Single Shot also made its heralded return to the list this month after a lengthy, several month absence, ranking in for February at an impressive No. 3. In addition to Single Shot's return, the Top 25 List welcomed several other first timers including No. 6 Tray Kitchen, No. 9 Salare and No. 19 Girin. This month's Seattle Top 25 Restaurants features a whopping seven newcomers to the list alongside a major shakeup of the veteran restaurants' standings. Joining the Top 25 for the first time this month are Cafe Juanita, Stateside, Trove, Naka, Lark, The Carlile Room, and Il Corvo. The latter of these seven, the Italian inspired pasta joint Il Corvo, ranked in at an impressive No. 3, joining along with Foodable Top 25 veterans No. 1 ranked Cascina Spinasse and No. 2 ranked Canlis to round out the top three restaurants. Former No. 1 restaurant Joule dropped from its top spot to No. 4, as did several other top ranking restaurants including Brimmer & Heeltap, sliding from No. 2 to No. 5, as well as former No. 4 Altura, which dropped to No. 22. The Top 25 List returns to Seattle this month with a number of veteran restaurants rising and falling. Former No. 5 Joule restaurant took top honors this month, claiming the No. 1 spot. Brimmer & Heeltap also made an impressive jump from its previous No. 12 position, rising a whopping ten spaces to seize No. 2. Cafe Campagne continues its gradual ascent, rising from a position at No. 24, up to No. 21, and this month clocking in at No. 16. Yet as some restaurants rise, others must fall and former No. 1 and No. 2 restaurants Altura and Cascina Spinasse fell to No. 4 and No. 5, respectively. An even more notable fall was Mistral Kitchen that dropped from No. 9 to No. 18. Joule's Truffle Cheesecake | Yelp, Stephan J.
Brimmer & Heeltap's Tartare | Yelp, Elle K.
Corn Pana Cotta at Altura | Yelp, Latifa S.
Last month’s Top 25 saw several Seattle newcomers added to the list. This month, however, only one new restaurant made it to the top – Ba Bar, a Vietnamese street food joint run by the same folks responsible for Monsoon. Known best for its lighthearted fare and handcrafted cocktails, Ba Bar entered the Top 25 list incredibly strong, starting off at No. 8. Amongst the Seattle 25 veterans, Mamnoon, the modern Middle Eastern eatery, dropped slightly from No. 1 to No. 4, swapping places with local Italian favorite Altura, which grabbed the top spot. Joule also jumped up the list, finally snagging a spot in the Top 5.
Who else ranked amongst Seattle’s best? Check out the full list below! Altura's Quail Egg and Peppers | Yelp, Latifa S.
Mezze at Mamnoon | Yelp, Mandy S.
Ba Bar's Steamed Dumplings | Yelp, Linda M.